As these our green walls are optimised for easy decoration in small city spaces, they will naturally fit in to your interior without the need for any building work. With our online quote system you can customise your own green wall and our operator will call you back to answer all your questions, confirm the quote or take your order. And because we want to make sure your green wall thrives, installation is free! Because not all greenery projects are intended to remain in place forever, Neogarden also offers modules for rent. You choose your module, then customise and order it. 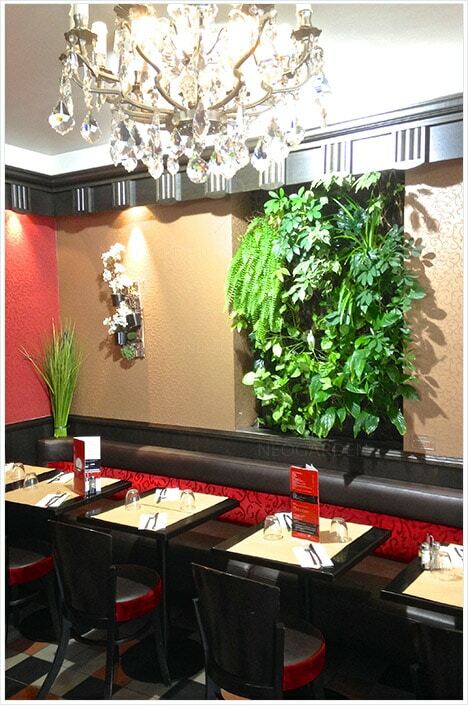 We deliver and install the green wall for the period of time you choose. At the end of the rental term, we come and retrieve the green wall. And that’s it! Our minimum rental term is two months. Do you have an original idea? An ambitious project? An personal vision? We’d love it! 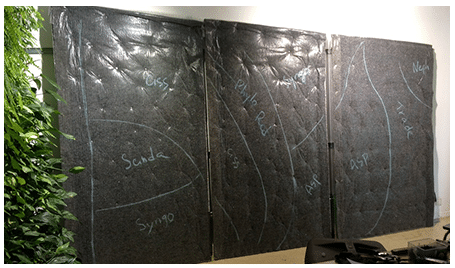 We assess all green wall projects on a case-by-case basis and will help you with structure your design. You will also benefit from the expertise of our designers, landscapers and naturopaths who will work with you. Our irrigation system is self-sufficient and doesn’t require intervention. Nevertheless, to ensure sustainable operation, regular maintenance may be necessary. For company green walls which are subject to more aggressive environments and often less propitious conditions, we advise seasonal maintenance. We offer you maintenance either over 12 or 36 months which gives you a 10% to 20% discount on the price of your green wall! 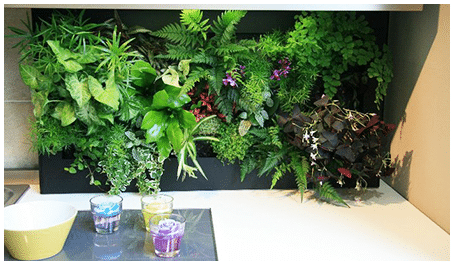 Plants are playing an increasingly important role in the work place. According to recent studies, the quality of the working environment is key to staff well-being, and as a result improves productivity. Although a green installation requires method and expertise, it is still an excellent investment. There are many, sustainable benefits. Our solution is comprehensive. Through our structured and reliable and approach, Neogarden brings a green wall into your office, contributing to employee wellbeing. When overcome by noise and stress In the middle of the city, who hasn’t dreamt of a quiet, peaceful garden corner in which to recharge, away from the urban thrum? Neogarden is offering you a magic solution. Our garden is vertical; always there, always in reach. It blends in perfectly in all offices and residential décors and gives a new perspective to interior design. 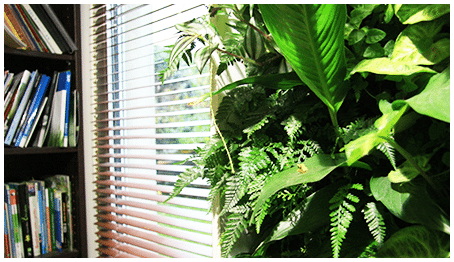 Draw from nature’s gifts with a throng of foliage plants purifying the air you breath throughout the day. Our primary aim is to satisfy all your expectations and establish a long-lasting, harmonious relationship with you. 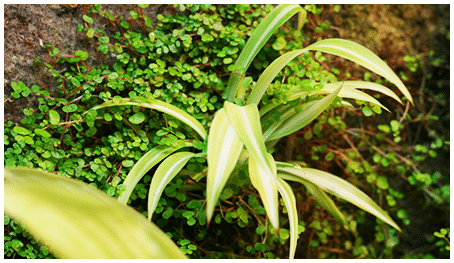 And because nature adapts to anything, Neogarden offers you several ways to go about your green wall. We offer two ready-to-install modules on our website for you to customise and order. Yet, if your project is more atypical or personal, we would be delighted to discuss a bespoke green wall with you.